A significant reduction in the risk of repeated heart attacks, strokes and cardiovascular death was found among people receiving a targeted anti-inflammatory drug that reduced inflammation, but did not affect the cholesterol level. This message came from a team of researchers from Harvard Brigham Branch and the Women’s Hospital (BWH). Naturally, this group of researchers began the work several years ago[1,2,3]. Scientists report a 15% reduction in the risk of cardiovascular events, including fatal or non-fatal heart attacks and strokes, for patients who received a dose of Canakinumab (ilaris): either 150 or 300 mg.
“For the first time, we were able to show conclusively that reducing inflammation independent of cholesterol reduces the risk of cardiovascular disease,” said Paul M. Ridker, director of the Center for the Prevention of Cardiovascular Disease at BWH. This has far-reaching consequences. Dr. Paul M. Ridker says that using a completely new way of treating patients, aimed at inflammation, we can significantly improve the results for some high-risk populations. Ask the following questions. What does it mean for medicine? What does it mean for patients? From my point of view, this is a breakthrough in understanding the direction of the search for the causes of the onset and treatment of CVD. Perhaps after some time, it will be possible to find more effective medicines for the treatment and prevention of CVD, including metabolic syndrome and systemic inflammation. Let us emphasize that this breakthrough, achieved at least for the last 30 years, was achieved by official medicine, not by a theory, not analytically, but by trial and error with the testing of the effect of various drugs (chemicals) on large groups of patients. But on the other hand, this important message is an additional argument in favor of the New Theory of CVD[4-17], which I have been promoting since 2011. Discovery of scientists from Harvard is an additional argument in understanding the mechanism of tissue perfusion reduction and blood stasis, which, apparently, in itself leads to many CVD. My first report on the mechanism of congestion due to arteriovenous anastomoses (AVA) or shunts was on the Internet portal “medlinks.ru”. cause of” stagnation “in the microvascular veins - increased pressure in the veins due to the opening of large artery-vein shunts and the reverse flow of blood in the microvascular veins. There arises, if I may say so, a “hydraulic lock”. Now I would add: “There is a” hydraulic lock “, and if the effect of this” lock “in some organs occurs regularly and lasts for a long time, this condition leads to blocking blood circulation, to insufficient perfusion of tissues, to metabolic syndrome. Blockage of blood circulation leads to ischemia, at the same time, due to fundamentally not identical local conditions of “capacity” of blood vessels and taking into account the influence of the Earth’s gravity, some of the organ cells may experience severe ischemia, and the other part only a slight decrease in circulation. I emphasize that in official medicine it is mistakenly believed that the most probable cause of venous plethora and stagnation of blood are certain obstructions in the veins in the form of blood clots or embolus, due to the compression of the vein by a tumor, scar, with an inadequate underdevelopment of the elastic framework of the vein walls or their valvular apparatus, as well as in the development of heart failure. I think that in this issue the cause with the investigation changed places (with each other), and such a mistakenly interpretation takes place in medicical science for many decades. We can assume that for a large list of diseases, the primary blockage of blood circulation in the organs is due to the opening and on time of non-closing AVA, after which some groups of cells begin to lack nutrition and oxygen. Apparently, it can be postulated that there is a fundamental unevenness in the capillary circulation and cellular nutrition in various organs in humans. Regular physical movements and a change in the position of the body are necessary. With the years gone by, this uneven supply increases, there are diseases. Blocking leads to syndromes of a lack of metabolism, at the same time hormonal regulation of homeostasis becomes activated, the immune system reacts. After a while, systemic inflammation can begin, which can lead to a “bouquet of diseases”, but according to different scenarios for each individual. Since systemic inflammation is primary, therefore, all subsequent numerous “diseases” occur imperceptibly, sometimes against a background of mild inflammation, i.e. with the masking of the “primary” systemic inflammation. For several decades the question has been debated, what is the mechanism of atherosclerosis. Which theory is correct: cholesterol infiltration theory or inflammatory. A lot of data obtained recently, are in favor of inflammatory theory. I will give an interesting opinion about the causes of atherosclerosis, which indirectly confirms my hypothesis about AVA and systemic inflammation. I quote the opinion of a group of researchers from the Research Clinical Institute of Pediatrics, Moscow. “When comparing different theories of atherosclerosis, a legitimate question arises: Is there a single cause of simultaneous inflammatory process, dyslipidemia, proliferation of smooth muscle cells, the formation of atherosclerotic plaques, endothelial damage? It can be safely assumed that all carefully and deeply studied pathogenetic mechanisms of the development of atherosclerosis are secondary to a single factor that operates periodically, and the increase in the symptoms of the disease occurs latently, wavy in connection with the periodic improvement of detoxification of the organism. Perhaps due to the safety of detoxifying abilities in childhood, atherosclerosis is rarely diagnosed in children, although the factors of cardiovascular damage can be detected early, confirming the view that the development of atherosclerosis, metabolic syndrome and cardiovascular diseases begins in childhood. “In my opinion, the authors gave a hopeful conclusion about the possible existence of a single cause of many CVD! And according to the New Theory - because of the disruption of the functioning of AVA anastomoses. In conclusion, a few practical tips. What can a person do to prevent the manifestation of systemic inflammation and increase life expectancy? Every 30-45 minutes take breaks when sitting at a computer. In the evening to lose weight, you can use the “Pohudey (Weight Loss)” simulator. Of course, this is an approximate list of recreational activities. In the future, apparently, there will be more effective exercises and pills. The main thing is understanding the mechanism of systemic inflammation. It becomes evident that theoretical and practical medicine needs to be directed towards finding, observing and studying the functioning of arteriovenous anastomoses (AVA) of different calibers. It can be assumed that many diseases arise from open anastomoses, because of uncontrolled leakage of arterial blood into veins and intercellular fluid, due to overflow of the venous pool! In addition, research is needed to develop new drugs, to prevent and combat systemic inflammation. It seems that the mechanism of systemic inflammation only now begins to clear up, and medicine will very soon open new prospects for development. So, the old problem of causality of systemic inflammation is solved? Ridker PM. Moving Beyond JUPITER: Will Inhibiting Inflammation Reduce Vascular Event Rates? Current atherosclerosis reports. 2013;15(1):10.1007/s11883-012-0295-3. doi:10.1007/s11883-012-0295-3. Ridker PM. From CRP to IL-6 to IL-1: Moving Upstream To Identify Novel Targets for Atheroprotection. Circulation research. 2016;118(1):145-156. doi:10.1161/CIRCRESAHA.115.306656. Ermoshkin V.I. The new theory of heart failure. London, 15- 17.03.2017. Ermoshkin VI. New theory of arrhythmia. Conceptual substantiation of arrhythmia mechanisms. Cardiometry; Issue 8; May 2016; p.6–17; doi:10.12710/cardiometry.2016.8.617. Ermoshkin V (2017) The Cause of Some Cancers because of the Open Arteriovenous Anastomoses. J Gastrointest Cancer Stromal Tumor 2: 1000111. Ermoshkin VI Problems of heart failure. Unexpected outcome.London, 15-17.03.2017. Ermoshkin VI. Arrhythmia and Cardiac Surgery. July 14-16, 2016, Brisbane, Australia. Ermoshkin VI. Heart transplantation mysteriously eliminates arrhythmia. 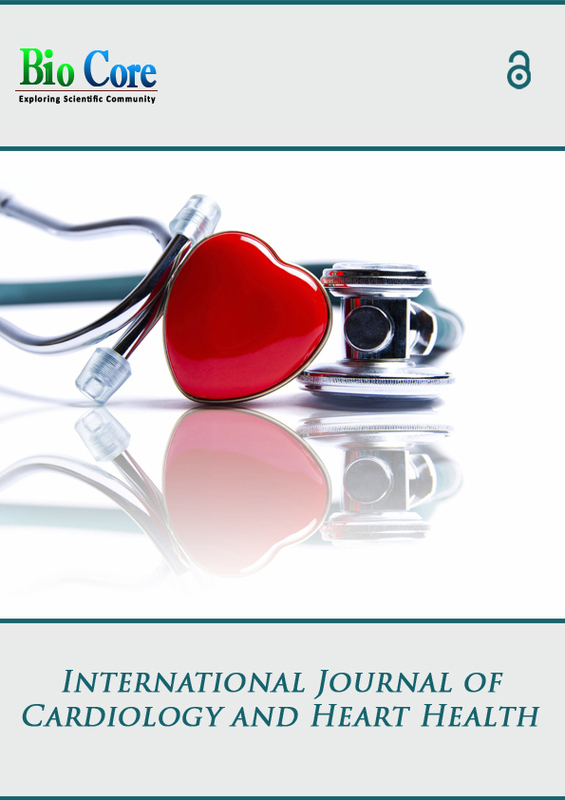 Cardiometry; Issue 8; May 2016; p.18–21; doi:10.12710/cardiometry.2016.8.1821. Ermoshkin V (2016) Pathological Role of the “Invisible” Anastomoses. J Bioengineer & Biomedical Sci 6:209. doi:10.4172/2155-9538.1000209. E.A. Yuryeva, V.S. Sukhorukov, E.S. Vozdvizhenskaya, N.N. Novikova. Atherosclerosis: Hypotheses and theories. Research Clinical Institute of Pediatrics, Moscow; National Research Center “Kurchatov Institute”, РОССИЙСКИЙ ВЕСТНИК ПЕРИНАТОЛОГИИ И ПЕДИАТРИИ, 3, 2014, Moscow (Russian).